One question is does there necessarily exist a simple model for a given biological question, the other is, is there a unique model? And taking that one step further, given two models that are equal in all regards except that one is more complex, why should we favour the more simple model? This argument, that we should prefer simpler explanations, is Occam’s razor. 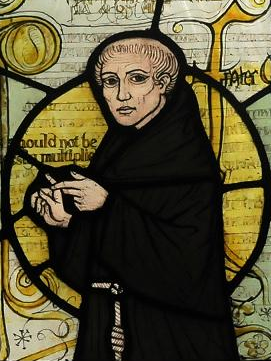 William of Ockham. This picture is attributed to the following source. 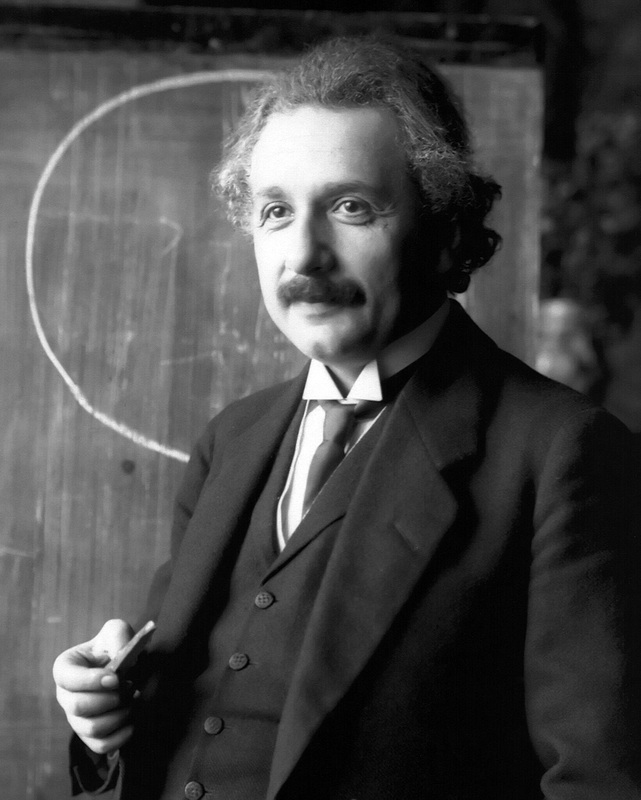 It is a principle urging one to select, among competing hypotheses, that which makes the fewest assumptions and thereby offers the simplest explanation of the effect. Aesthetic: nature is simple and simple explanations are more likely to be true. Empirical: You want the signal; you don’t want the noise. A complex model will give you both, e.g. overfitting in statistics. Practical: it is easier to understand simple models. Popper (1992): For Popper it can all be cast in the light of falsifiability. We prefer simper theories “because their ecological context is greater” and because they are testable. And yet my initial reaction to the definition of Occam’s razor was that it sounded a bit strange: simple explanations and few assumptions? Yikes, I can give you your simple explanation, but it’s going take a lot of assumptions to get there. I think my confusion could be due to a difference in bookkeeping (and the phrasing ‘simple explanation of the effect‘). In the Occam’s razor definition, you score only assumptions that contribute to the explanation. In biology, if the true explanation consists of n things-that-matter, the theoretician will say that the observation can be reproduced by only considering k < n of those things. Here, biologists are used to scoring the number of assumptions as the number of things that are suspected to matter but that are neglected, i.e. n – k. This difference would seem to suggest that, although in biology we do value simplicity, we also value explanations that incorporate known contributing factors over explanations that ignore these. These types of values are reflected in Elliot Sober’s view on Alternatives to Occam’s razor as described above. By making more assumptions, (mechanistic models) allow you to extract more information from your data – with the risk of making the wrong assumptions. That does kind of sum it up from the data analysis perspective: simple models make a lot of assumptions, but at the end of it you can conclude something concrete. Complex models still make assumptions, but they are a less restrictive type of assumption (i.e., an assumption about how a factor is included rather than an assumption to ignore it). All this flexibility in complex models means that many different parameter combinations can lead to the same outcome: inference is challenging, and parameters are likely to be unidentifiable. Given Wikipedia’s list of different justifications of Occam’s razor this seems to be an example of ‘using the mathematical justification to practical ends’. That is to say, this argument doesn’t seem to fit well into the list of justifications, but elements of the mathematical and the practical justifications are represented. Or perhaps it fits with Popper’s alternative view? For the theoretical ecologist, another reason that parsimony is often favoured is certainly the practical justification: because simple models are easier to understand. What do you think? Is parsimony important in biology? And why? *okay, so maybe the actual highlight for me was learning a new expression. The expression is ‘turtles all the way down’ and the best way to explain it is by using it in a sentence. Here goes: sometimes people say ‘yes, but that’s not really a mechanistic model because you could take this small part of it and make that more mechanistic, and then you could take parts of that and make those more mechanistic.’ And to that, I would say ‘yes, but why bother? It’s just going to be turtles all the way down‘. **fundamental = mechanistic, i.e. biological underpinning. This is a quote from Wikipedia and I need to chase down the exact reference for the statement. I have Elliot Sober (200o) Philosophy of Biology but he doesn’t seem to say anything quite this definitive. ****I haven’t read either, I just list the references in case anyone wants to follow up. After I give a talk, I am often asked questions such as: “you assumed that space is homogeneous, but isn’t there a mountain range to the west?” or “could you expand your model to consider the influence of hunting on adult wolf survivorship?” And for a split second this thought races through my head: They’re right. I am wrong. My work is wrong! This is terrible, I must add in hunting to fix it. It is tempting to think that a more complex model is better. Will other scientists assume that I aren’t skilled enough to include hunting in the model? Will they not understand that this was my deliberate choice – the choice not to include it? As a final comment, if some asks “could you expand your model to consider the effect of climate change?” at the end of one of my talks, I will return the question by asking what they think would change if I had explicitly included this. The question above, without further elaboration, could imply that I didn’t include climate change because I overlooked it. Returning the question helps to draw attention to the challenges that modellers face and to highlight the types of careful considerations that go into model construction.